On October 22, Qualcomm determined standard and plan of 5G at 2018 4G/5G Summit in Hong Kong and announced manufacturers that will use Snapdragon X50 5G baseband in 2019. WINGTECH and MI, OPPO, VIVO, SONY, CMCC, MOTOROLA, and ASUS etc. 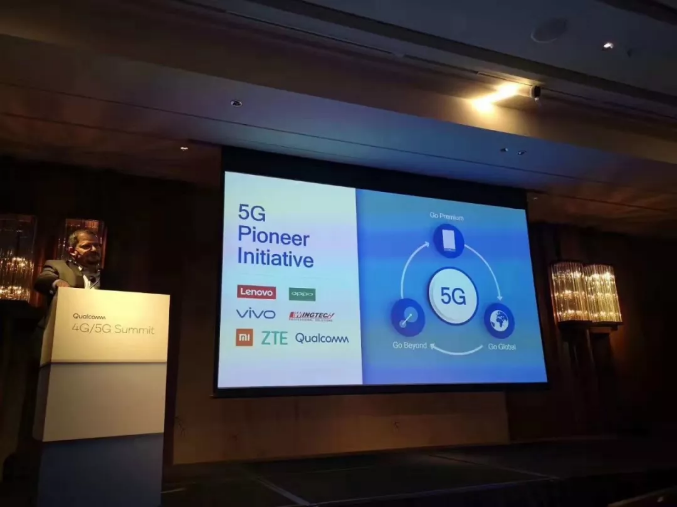 Earlier this year, at 2018 Qualcomm China Technology and Cooperation Summit in Beijing, Qualcomm, WINGTECH and other leading companies announced “5G Pioneer Initiative”in order to explore new mobile applications and experiences brought by 5G; at the same time, they will also focus on innovative technologies such as AI and IoT to further drive global technology evolution and industry revolution. As a leading 4G/5G R&D platform on intelligent terminal and Qualcomm’s strategic partner, WINGTECH is committed to creating more high-end smartphone products for global customers. Facing rapid development of 5G communication technology, WINGTECH is stepping up its technological layout, gathering resources to overcome changes and challenges on smartphone development and manufacturing brought by 5G. We hope to bring 5G mobile terminals to global market shortly. In addition to 5G smartphones, WINGTECH will also develop PC that is always connected to 5G, which will also bring a new application experience to PC users. It is reported that Snapdragon X50 is the first 5G modem chipset of Qualcomm; it is built in a 28nm process with a peak of 5Gbps. The chipset supports gigabit rate and data connection on 28GHz millimeter-wave. In addition, according to introduction by Qualcomm, China is planning Sub 6GHz 5G band, while Snapdragon X50 supports high-frequency millimeter wave and mid-frequency of Sub 6 GHz. It means 5G can be commercially used next year and no need to wait until 2020. News from China Economic Net and China securities net .Thanks ! On October 24, WINGTECH, a listed company, issued a plan to acquire all the shares of GP and LP of Nexperia Group by issuing shares and paying cash. After the transaction, WINGTECH will indirectly hold the control of Nexperia Group. According to the current pre-evaluation of Nexperia Group, as of June 30, 2018, the value of 100% equity of Nexperia Group is 26.432 billion yuan, the issuing price of assets purchased by issuing shares is 24.86 yuan / share, and the supporting fund is 4.63 billion yuan. Nexperia was a former independent derivative of the Standard Products business of NXP. It has more than 60 years expertise of semiconductor. As the former NXP Standard Products Division， it is a global leader in discrete devices, logic chips and MOSFET markets. In 2016 and 2017, the net profit of Nexperia Group was 1.7 billion yuan and 1.27 billion yuan respectively. Over the past 3 years, Nexperia Group has maintained 38% rapid growth. Nexperia is a typical Vertical Integrated Semiconductor Company & #40;IDM& #41; with strong profitability and its business covers design, manufacture and packaging test. It is the only large-scale IDM enterprise with complete chip design, wafer manufacture and packaging test in China. It has more than 10,000 hot-selling products and more than 20,000 customers including automobiles, telecommunications, consumption and so on. In the future, there will be strong growth potential in mobile communications, smart cars, IoT and other fields. The announcement disclosed that the target company of this transaction, Nexperia Group, is a semiconductor standard device supplier, which integrates design, manufacture, packaging and testing. Its products are widely used in automotive, industrial control, computer, consumer electronics and other fields. Nexperia Group has more than 60 years expertise in semiconductor industry. Its market share of discrete devices, logic devices and MOSFET devices are among top 3 in the world. After years of development and accumulation, the main operating entities of Nexperia Group can maintain high consistency and effectiveness in complex electromagnetic, temperature and humidity extreme environment; meanwhile, the production process is very mature, sealing and testing technology is advanced, and the capacity of large-scale production is strong; its stable supply capacity of multi-field and multi-product lines helps it achieve 85 billion pieces shipment annually. In contrast, there is still a big gap between domestic semiconductor manufacturers in the above product areas. After completion of this transaction, listed company will take control of the target company and make up for the shortcomings of domestic enterprises in the above product areas.Under the background of high technical barriers in semiconductor industry,foreign-led core links, increasingly stringent transaction censorship and even acquisition exclusion in Europe and the United States, it is difficult for domestic enterprises to catch up with foreign high-quality semiconductor companies by acquiring companies, so the successful acquisition of Nexperia Group by domestic enterprises is extremely precious. Through this transaction, the listed company will indirectly obtain the control rights of Nexperia Group. The industrialization background of the listed company can effectively promote the industrial development of Nexperia Group. According to industry insider ,WINGTECH's business covers intelligent terminals, automotive electronics, PC, servers, IoT and other fields, and Nexperia’s business are mainly for consumer electronics, automotive electronics, communications and other field. Industry insiders believe that the business areas of two companies are highly aligned. Meanwhile, Nexperia has been the upstream supplier of WINGTECH for many years, semiconductor devices of Nexperia can be widely used in all kinds of products of WINGTECH. Two companies maintain close and deep cooperation and have a profound foundation of mutual trust. According to analysts, WINGTECH’s main clients are international well-known electronic brand manufacturers, their products including smartphones, IoT, laptop, and so on. Although the core components of electronic products manufactured by Nexperia are widely used in above consumer electronics and computer products, 40% of customers and markets are in Europe and the United States, and more than 40% of the revenue comes from automobile power semiconductor. WINGTECH, who is familiar with the global market, can introduce a large number of products of Nexperia to the world famous brand clients such as mobile phones, tablets, laptops and smart hardware, and help Nexperia expand its market share in consumer electronics, IoT and notebook computer market. WINGTECH has some domestic clients in the field of automotive electronics,but it has some deficiencies in the international market. After the integration of Nexperia, it will have the opportunity to enter the European, American, Japanese and Korean markets through the channel of Nexperia and open up a broad global automotive electronics market. 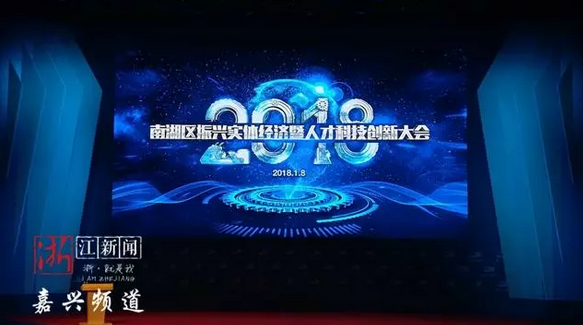 In January 8th, Nanhu District of Jiaxing City, the revitalization of real economy and talents of science and Technology Innovation Conference was held in Jiaxing Grand Theatre, Chairman of Wingtech, Wing, was invited to attend the conference and delivered a speech at the meeting, Wingtech Communication won the "unicorn" award by virtue of outstanding contributions to industrial economy. The conference aims to build a good start for 2018, and constantly reinforce real economy of Nanhu District,Jiaxing; and speed up transformation of traditional industries, and strive to build a new relationship between government and enterprise, creating a business-friendly atmosphere, promoting quality, efficiency, innovation and development of industrial economic. 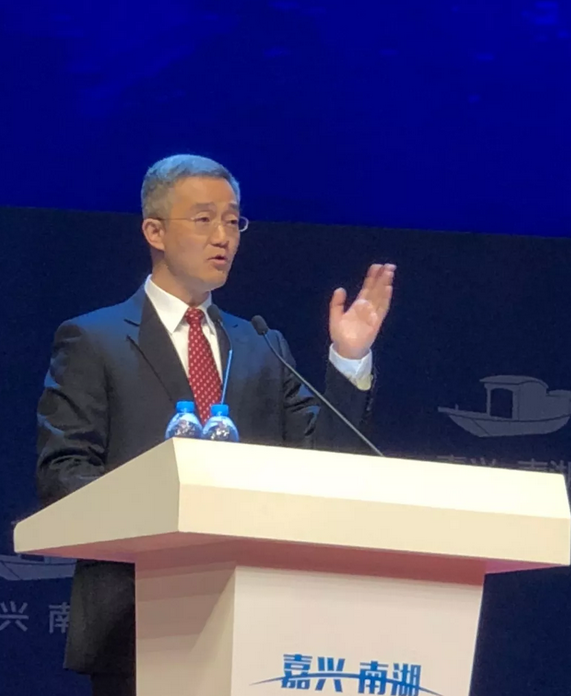 Hu Haifeng, deputy secretary of the CPC Jiaxing municipal Party committee and mayor of the Jiaxing Municipal People's government, made an important speech. 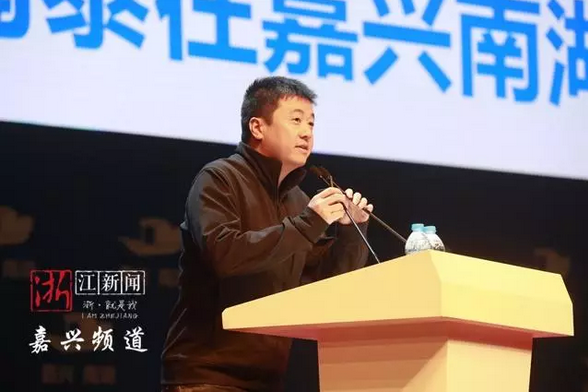 Hu Haifeng said: we should recognize entrepreneurs, respect entrepreneurs, and support entrepreneurs. The fundamental purpose is to enable enterprises to realize better and faster development. It is not only the dream of the entrepreneurs but also the expectation of the whole society. Combined with the theme of revitalizing the real economy and the innovation of talents, Hu Haifeng put forward three suggestions for entrepreneurs: first, high quality ; second, further promote technological innovation;third, pay attention to capital market. Hu Haifeng hopes that the vast number of entrepreneurs and friends in the new era will be able to stand taller and have a better view. At the meeting, Wingtech has won the "unicorn" award by virtue of its outstanding contribution to the industrial economy. 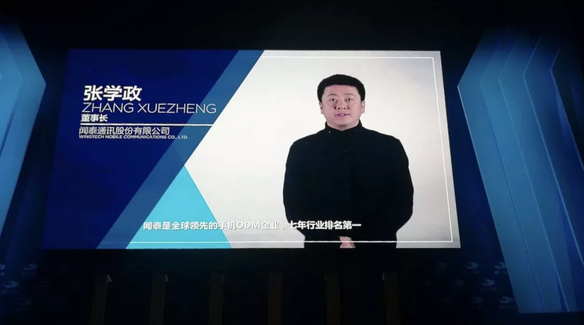 Zhang Xuezheng, chairman of Wingtech Technology, was invited to make a speech. In 2006, Wingtech was established in South Lake District; today, it has grown up as a listed company - Wingtech Technology & #40;600745& #41;. The output value reaches to 100 billion; customer group are all global famous brands; Wingtech is building a pipeline industrial platform. In the future, in the field of mobile phone, Wingtech will continue to develop full screen, artificial intelligence & #40;AI& #41; popularization; at the same time, it will also take advantage of NB-IoT and 5G trend to develop AR/VR, automotive electronics, artificial intelligence & #40;AI& #41;, intelligent hardware platform, notebook computer and server field to realize horizontal expansion; the output value aims to be of billions level and continue to move forward and become bigger and stronger!